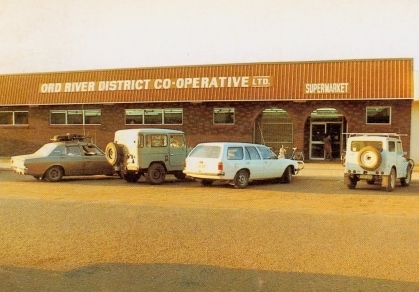 The original Ord River District Co-operative was established when the Ord River Scheme was first developed in 1963 by cotton growers for the principal purpose of processing and marketing cotton. From 1963 to 1973 the company operated two cotton gins and marketed up to 17,500 bales of cotton. During the 1980â€™s diversification in agriculture resulted in the Cooperativeâ€™s expansion in rural merchandising and in the processing and marketing of grain crops. It also developed significant interests in supermarket operations locally. As the 1990â€™s commenced the supermarket operations were converted to a joint venture with a major chain, the company began exporting horticultural products to Asia and the Middle East and an initiative was taken to establish a sugar industry on the Ord. This resulted in the opening of a sugar mill in 1995 in which the cooperative helds a 5% interest. Meanwhile a strategically important parcel of land was purchased adjacent to the Wyndham Port and facilities constructed initially to enable the export of bulk maize and the import of bulk fertilisers. Subsequently an 18,000 tonne bulk sugar store and a 7,000 tonne bulk molasses tank were constructed on the site. During the 1980â€™s â€“ 1990â€™s the Cooperative maintained its diversity not only within the agricultural sector through the handling processing and marketing of grain crops, the major importer of fertiliser, operation of a large merchandising operation including an aerial spraying operation but also entered into a joint venture to re-establish cotton ginning facilities, entered into a joint venture and subsequent 100% ownership of a barramundi farming operation on Lake Argyle (ceased 2004), awarded the lease to operate the Port of Wyndham for a period of 15 years and purchased a bulk diesel terminal in Wyndham. ORDC outgrew its co-operative status and moves were made to convert the entity to a public unlisted company (Cambridge Gulf Ltd) and transfer the agricultural assets to a fully compliant co-operative (initially known as East Kimberley Co-operative Ltd prior to changing its name back to Ord River District Co-operative Ltd). Member approval was granted on 27 November 2006 to complete the process. Cambridge Gulf Ltd came into being on 15 February 2007 and East Kimberley Co-operative Ltd commenced trading on 1 July 2007.